For my wonderful husband, I wanted to make a special birthday breakfast so thought I would try my hand at pancakes. Thanks to Stephanie and her fun blog, The Health Honey, I got some great ideas on the key ingredients which made this so yummy! 1. First in a medium bowl, mash the banana as best you can. 2. Then add in the eggs, apple sauce, and all the other ingredients and stir. 3. Then, blend everything all together with handheld blender for about 3 minutes until smooth. 4. Put about 1 tbsp coconut oil into large flat pan on medium low or low heat. 5. Put a dollop of the mixture (soup spoon size) into pan. 7. Carefully flip onto other side and let cook another 4 minutes. 8. Add more coconut oil as needed with each new batch. 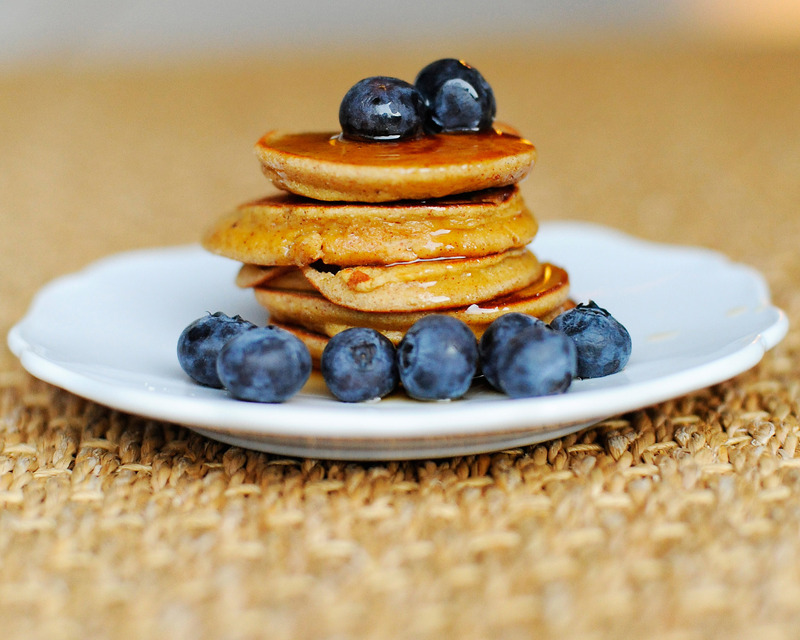 Then you can add blueberries (or any other fruit), almonds and some pure maple syrup (about 1-2 tsp per serving). I did that for the first batch, but for the second, since it is my hubby’s birthday, and he is a total chocolate guy, I added a handful of dark chocolate chips. He said those didn’t need any syrup and were of course, his favorite, but “both were amazing!”. I have to say, they looked and smelled delicious, but until I’m done with the Whole 30, there won’t be any paleo treats for me. To be honest though, I didn’t really (like I usually do!) want any. They smelled heavenly, but the urge just wasn’t there or as strong. And, that’s big for me, and I’ll take every little victory I can get!! Yes! By the way, does everyone know the peanut butter or almond butter trick, so you don’t have oil on the top and have to stir it every time you open it? All you have to do is when you first open your jar of natural nut butter, stir it well with a butter knife, and make sure you get the bottom, drier part. Then, put the lid back on and turn it upside down on the counter. Leave it there overight. The next day, open the container, stir one more time, and you’re good to go. Now you can refridgerate it and not have to worry about the oily stiring again, until you buy your next jar! Drennen - These are yummy! These will be our “pancakes” going forward. 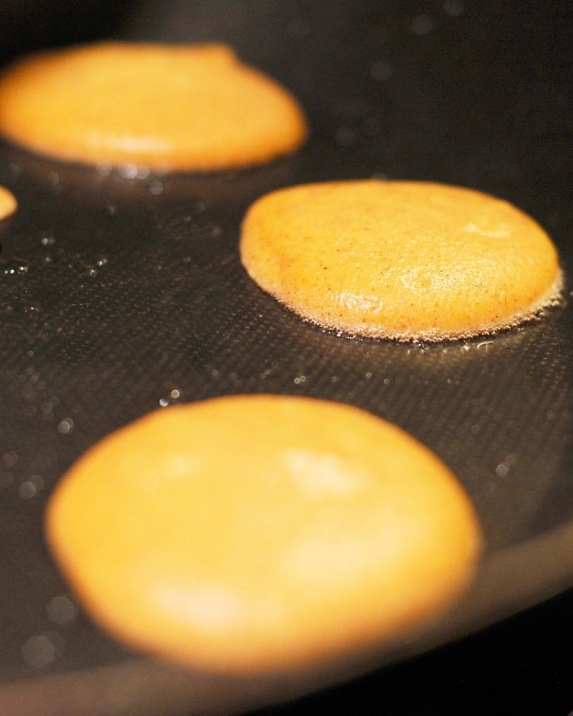 I will not tell you how we were making our pancakes – lots of unhealthy goodies for sure. We are enjoying all of your recipes – keep sending them!